A new book by Sheffield based pub owner and church worker, Andrew Rushworth calls on Christians to share their faith even in places where they may fear to go! If the postman stopped at every barking dog, then the mail would never get delivered. We would never receive the letters, parcels and gifts that are sent to us and delivered by the postman, if the postman didn't find a way to get around the barking dogs. As Christians we believe we carry the greatest message the world has ever been given ... the Gospel! God has given his letter, his gift to every Christian but we so often let the barking dogs of our lives stop us delivering them. The barking dogs are easy to spot. Have you ever been hurt in church or had a broken marriage? Ever been bankrupt or struggled with depression? These are just a few of the things that can stop us giving away freely the great love that we have received from God. 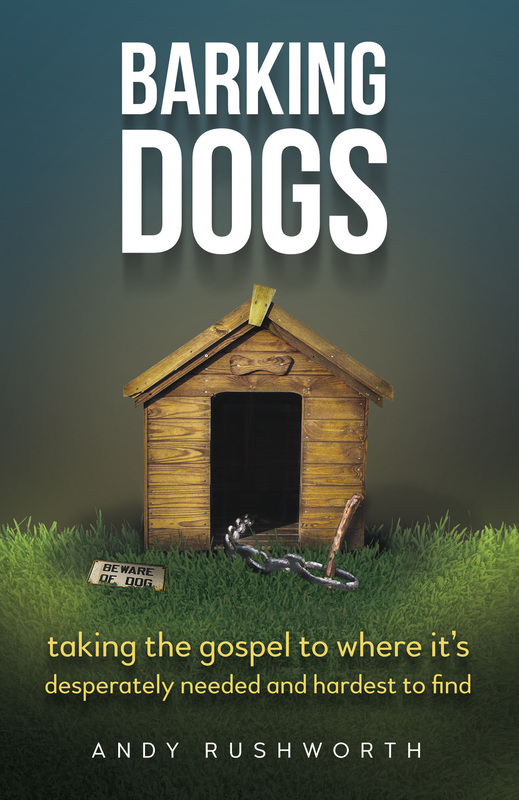 Barking Dogs is full of Andy's experiences in trying to take the Gospel into the places where it is desperately needed yet hardest to find. His hope is that you too will be encouraged and inspired to take the Gospel into the dark places, into the ordinary places and be amazed at what God can do through you. In his mid-teens Andy Rushworth was in and out of juvenile court but he truly fell in love with Jesus when he was 18. At the age of 22 he went to Bible College and became an AOG minister, working as a youth pastor and a mission director. He served on staff in an AOG Church in South Carolina for a couple of years but has now lived in Sheffield for over 14 years. Currently he is part of the staff team at St Thomas Church, Sheffield (STC) where he teaches at the STC College and runs a ministry called 'Make Your City Shine', an arts based ministry to secondary schools where they use the gospel to raise young people's aspirations for life. Barking Dogs by Andy Rushworth was published by Malcolm Down Publishing Ltd in March 2017 and is our 34524th best seller. 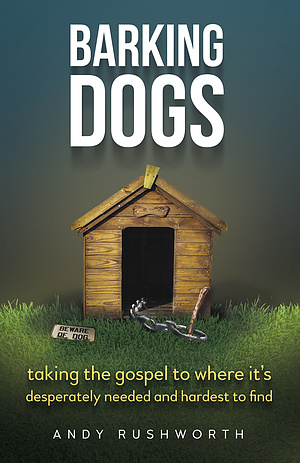 The ISBN for Barking Dogs is 9781910786642. Be the first to review Barking Dogs! Got a question? No problem! Just click here to ask us about Barking Dogs.